Work in a laboratory frequently involve the use substances that are toxic, flammable, acidic and nasty stuffs. It is very important to be careful and prepared for possible issues. Let's recall some useful steps to avoid accidents in our work environment and always work with security. Biosecurity is a set of actions to prevent, minimize or eliminate risks to the health of humans, animals and environment that are inherent to laboratory duties. Chief among those actions is the dressing code! Always wear your lab coat, gloves, long pants and closed shoes. The laboratory environment also asks for appropriate behaviour. Do not run, eat, drink or smoke. Always work with careful and attention. These steps will ensure your safety and also the quality of your results. Be careful with the products, substances, samples, reagents. It is important to know how to handle each of these compounds and to utilize the appropriate safety equipments, like laminar flow cabinets (to volatiles and gases, for instance, since it promotes air recirculation and prevents the person inhale the toxic product). For example, we use TRIzol reagent, which is composed by Phenol and Chloroform, toxic chemicals used for RNA\DNA extraction. We only open Trizol inside laminar flow cabinets. 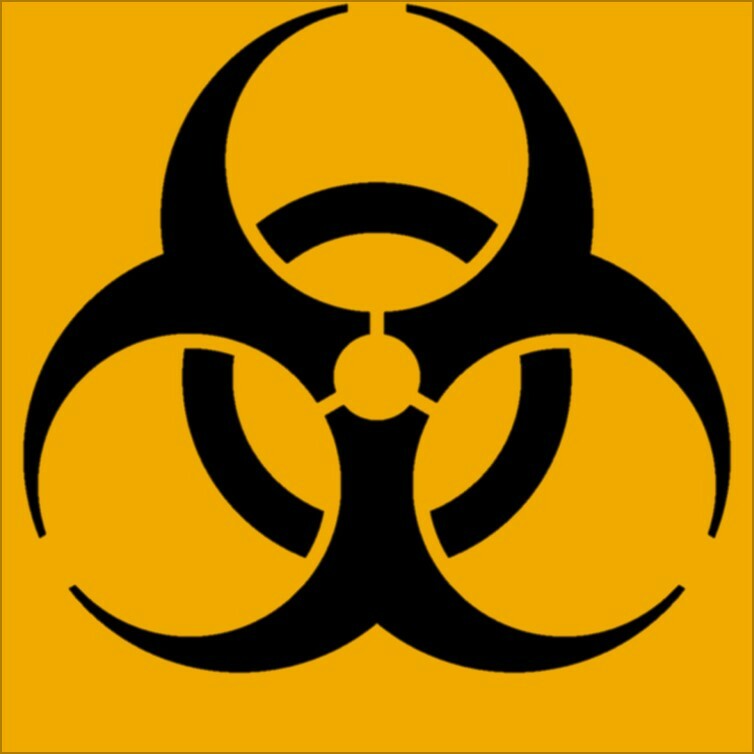 Solvents, infectious substances, mutagenic or carcinogenic chemicals also deserve close attention. All must be properly disposed of, according to its danger. Others precautions as in handling fire, laboratory glassware (beaker, graduated cylinder, Erlenmeyer flask), liquid nitrogen and exposure to radiation should be thought. For instance, when we use the ultraviolet light to see the results of our PCRs, we must be careful with the direct exposure to it. U.V. light is a ionising radiation, and can damage the DNA and ultimately lead to cancer development. To finalize, each laboratory has its particularity and different levels of biosafety are required. Watch out the biosafety level of your laboratory and stay on the safe side.